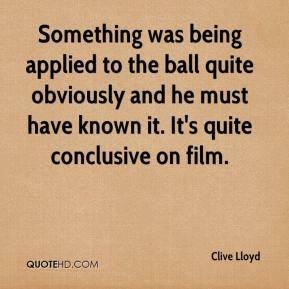 Something was being applied to the ball quite obviously and he must have known it. It's quite conclusive on film. 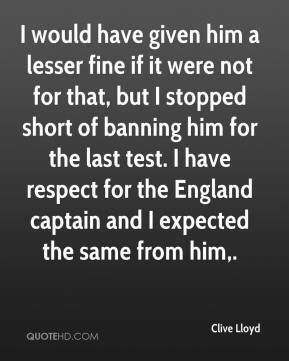 I would have given him a lesser fine if it were not for that, but I stopped short of banning him for the last test. I have respect for the England captain and I expected the same from him. 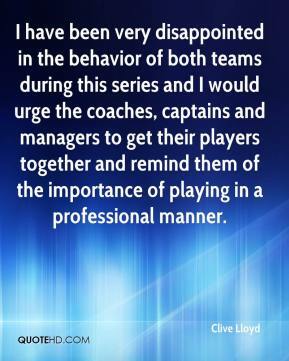 I have been very disappointed in the behavior of both teams during this series and I would urge the coaches, captains and managers to get their players together and remind them of the importance of playing in a professional manner. 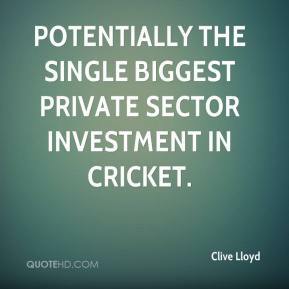 potentially the single biggest private sector investment in cricket. potentially the single greatest private sector investment in cricket since the Kerry Packer revolution 28 years ago. 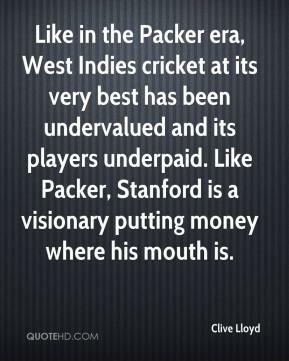 Like in the Packer era, West Indies cricket at its very best has been undervalued and its players underpaid. Like Packer, Stanford is a visionary putting money where his mouth is. 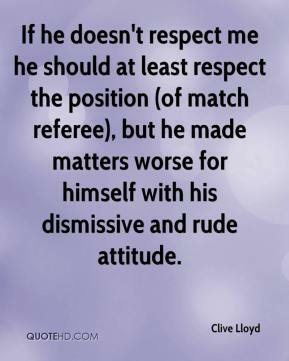 If he doesn't respect me he should at least respect the position (of match referee), but he made matters worse for himself with his dismissive and rude attitude. Money is a subsidiary of success. People always want to sponsor you. 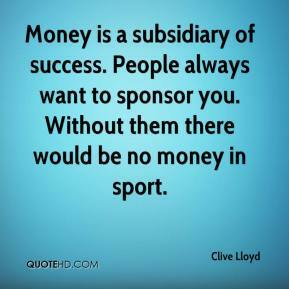 Without them there would be no money in sport.